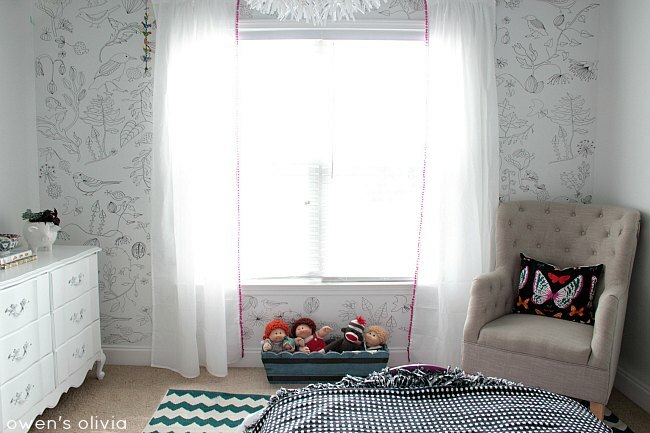 Do you want to cover you walls in pattern or color? Wallpaper isn’t your only solution. 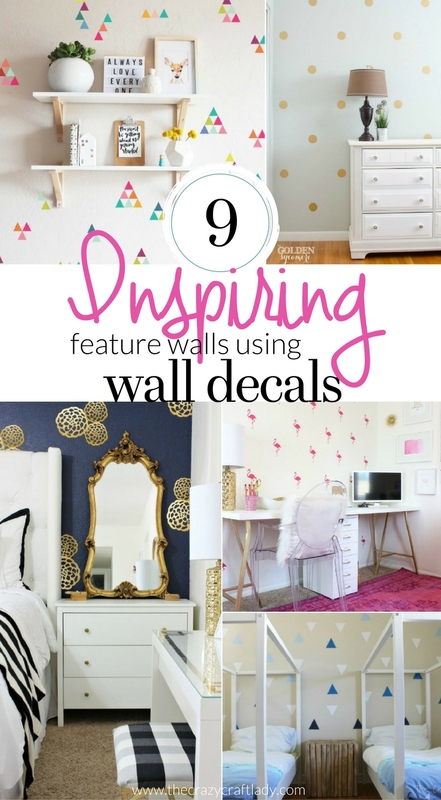 Check out these 7 techniques and wallpaper alternatives. 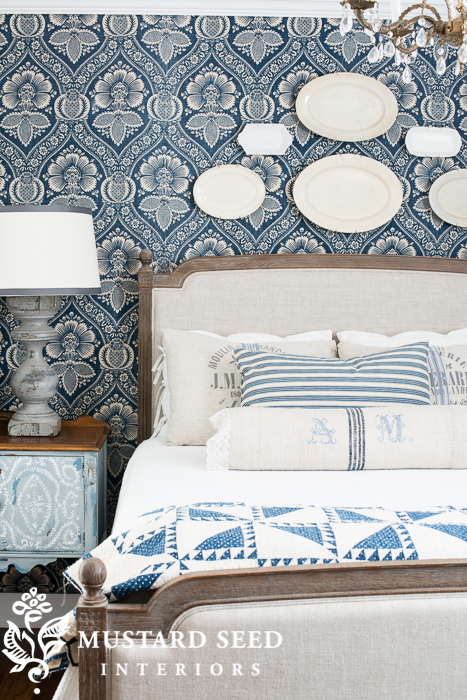 How to cover your walls in pattern and style, without the mess, hassle, or expense of wallpaper. 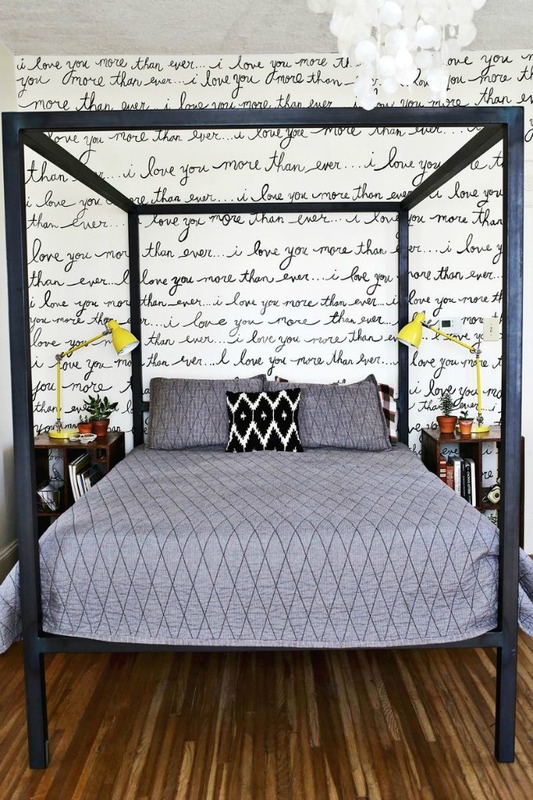 I do love, love, love wallpaper, and browsing the vast selection of options available. But, for various reasons, it may not be a good option for you… or just for a particular room. 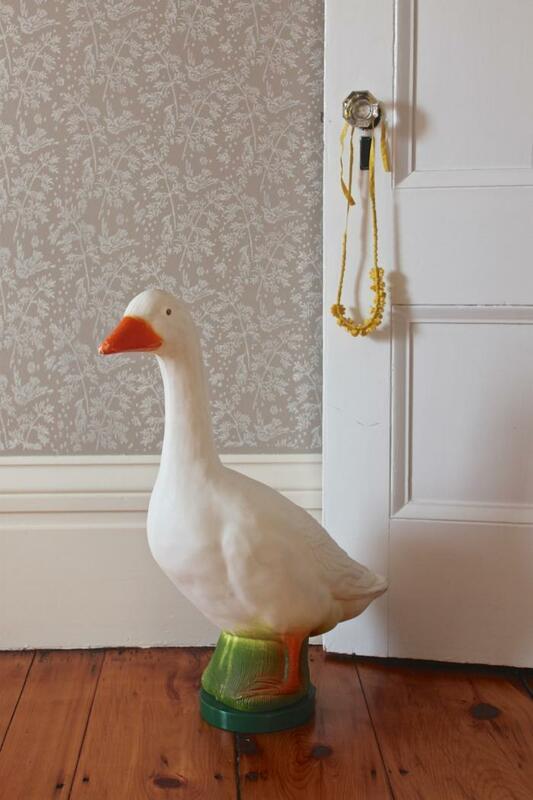 Renters need removable damage-free decor options. Even if you own, some wallpapers can be REALLY expensive. 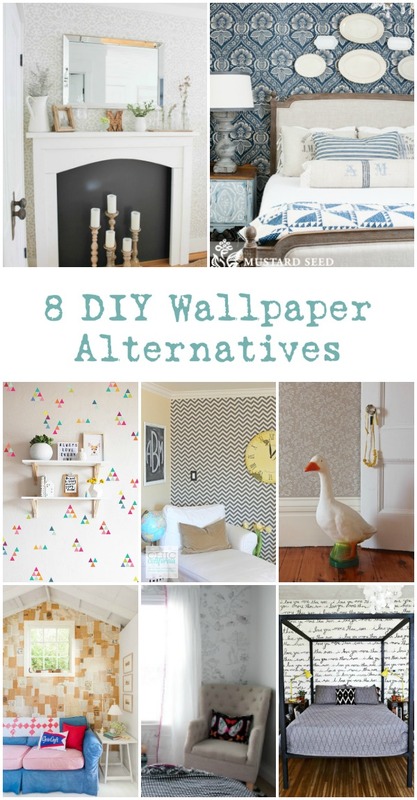 So… I’ve gathered 8 different wallpaper alternatives for you. Some are DIY techniques and others are products that you can buy. 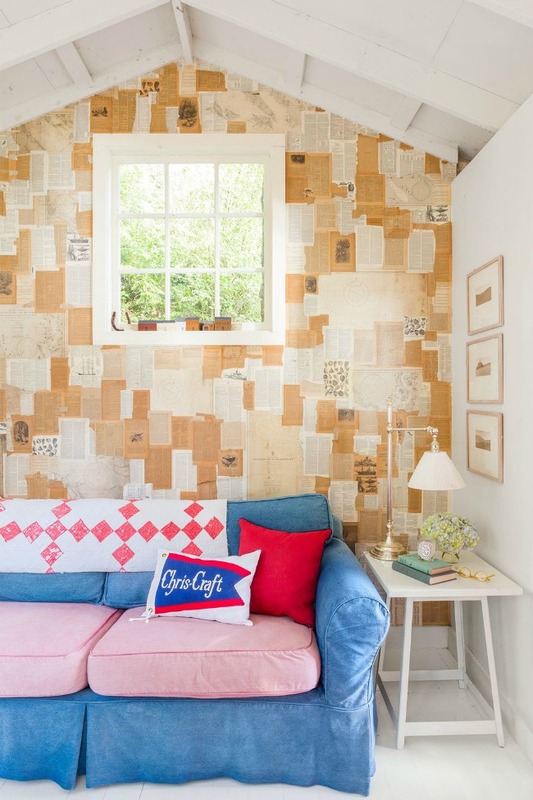 Now, go add a little bit of pattern and style to your walls. 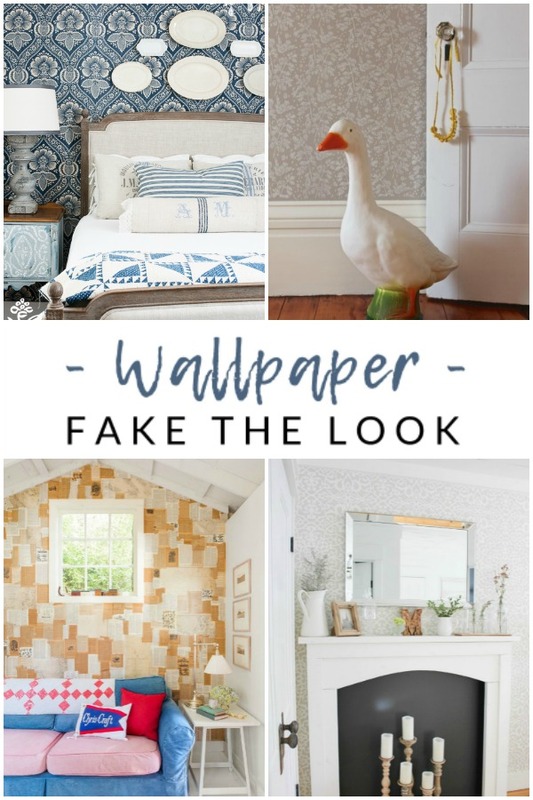 Related: If you’re looking for more wallpaper inspiration, pin along with me on my wallpaper Pinterest board! 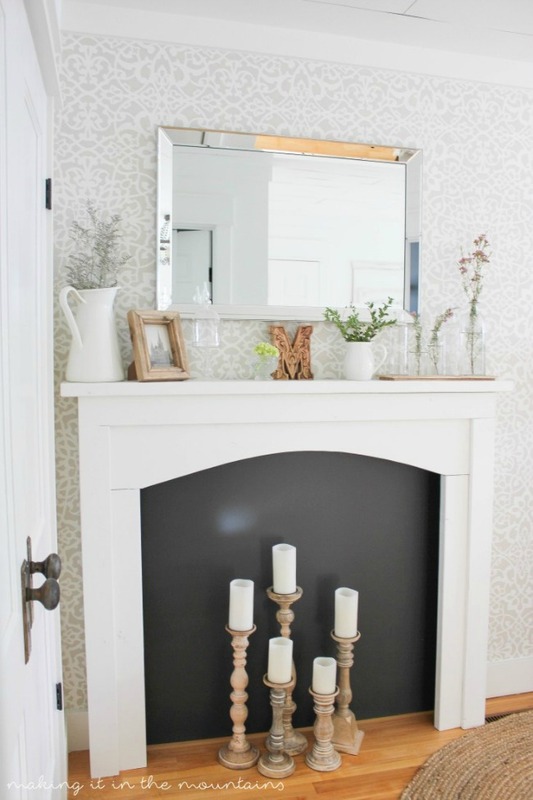 Do you love the look of wallpaper, but are afraid to commit? 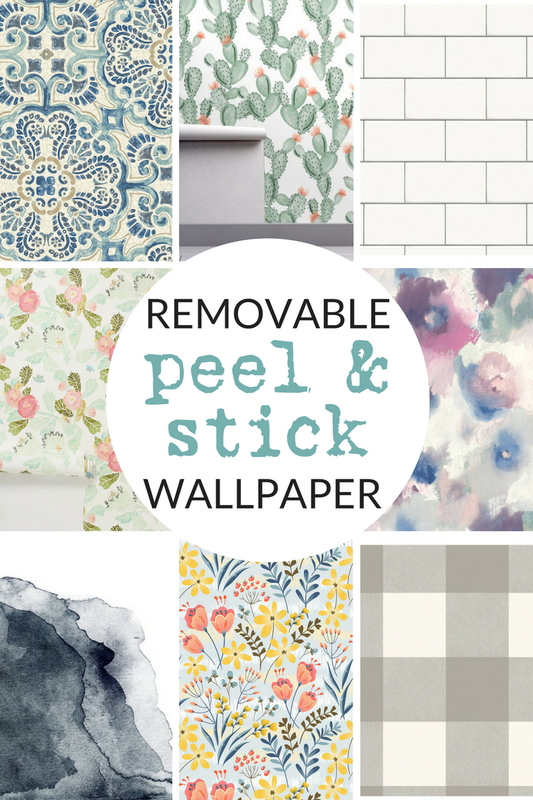 Fear not, because these temporary peel-and-stick wallpaper options are just the solution you need! Peel the sheets off the backing paper, smooth it over your walls, and peel it right off when you’re ready for a change. No mess, no fuss! 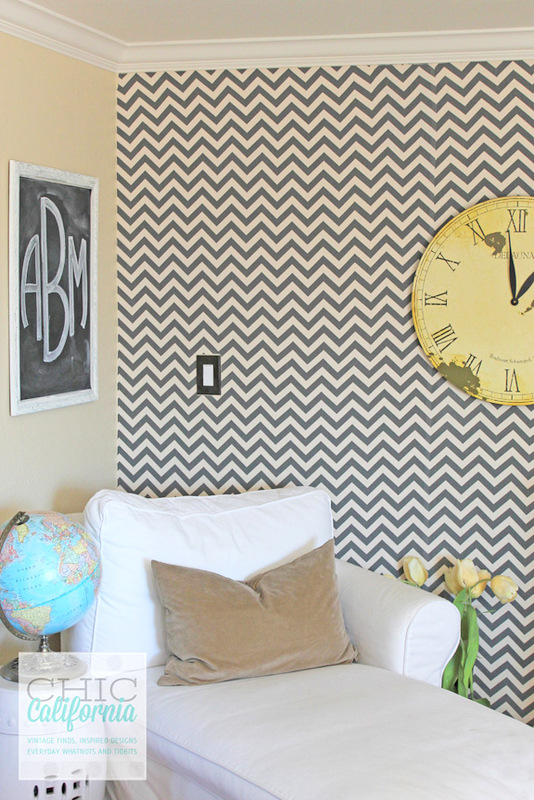 Read this tutorial to see how I used temporary wallpaper.